There are a lot of great workshops for writers, and I’ve picked up a ton of super tips to take home and incorporate into my writing style. Some have been story-savers, some have made me think, some have pushed me in a whole new direction. Almost all have managed to light at least a flicker of excitement that sends me back to my desk eager to get back to my work in progress. In the last two weeks, it’s turned out that both of my regular writer’s meetings have featured presentations on plotting and outlining, and in spite of not being a plotter, even these workshops sparked something for me to take home. Is someone trying to tell me something? I admit, I’m a list-maker. Doesn’t matter if I’m considering New Year’s resolutions, going to the grocery store or out on errands, lining up my personal Honey-Do list or getting ready to close up the house before I head to New England for the summer, there is always a list. 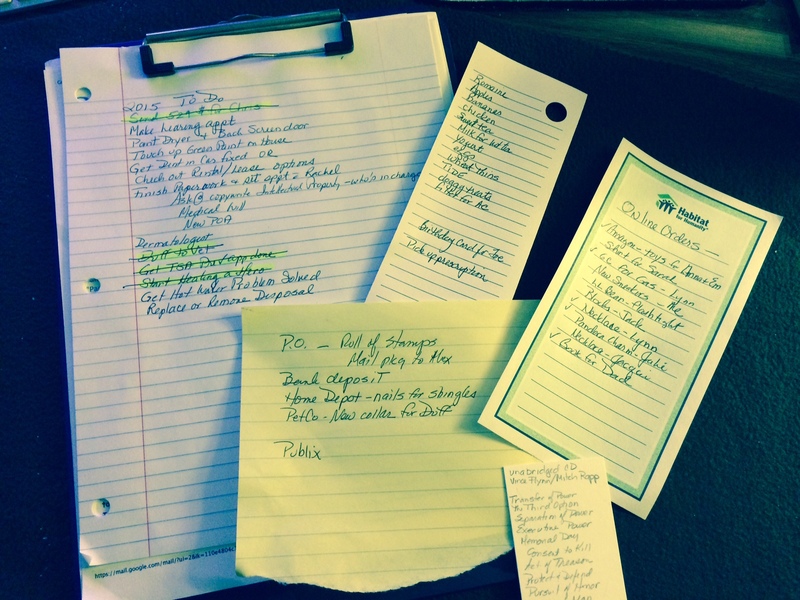 A handwritten list. Usually on a clipboard on my counter. I get a great deal of satisfaction out of crossing things off and seeing progress. If I complete a task that was not on the list, I add it and cross it off, too. Hey, I did it, I deserve the credit!! But when it comes to writing, I’ve been more of a Pantser than a plotter. I do know where and how my story will end when I start and often even write that grand finale scene before the book is even partially written. I also have a detailed backstory for my main characters, which is written - typed that is, and printed out for the working notebook. If there is a family involved, I often draw up the family tree and fill in things like spouses and kids and grandparents. But no outline. So, I come home from these back-to-back workshops on outlining and plotting and I’m wondering if I should give it a try. 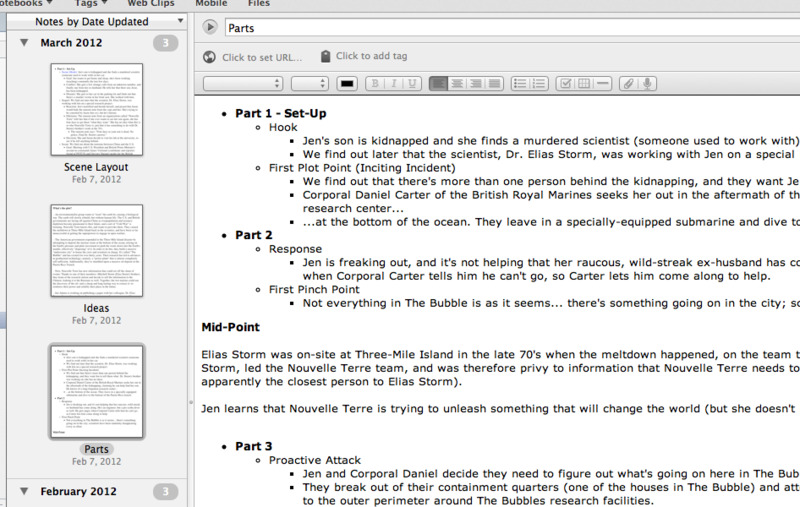 If I’m good with lists – why not a list of chapters or scenes? So I spent the week between workshop 1 and 2 with the KISS outline plan offered up by a man whose books I love reading and who seems to have a good grasp on the value of outlining. What I came up with seemed easy and straightforward, but didn’t really do much more than put the storyline previously rattling lose in my head on paper. 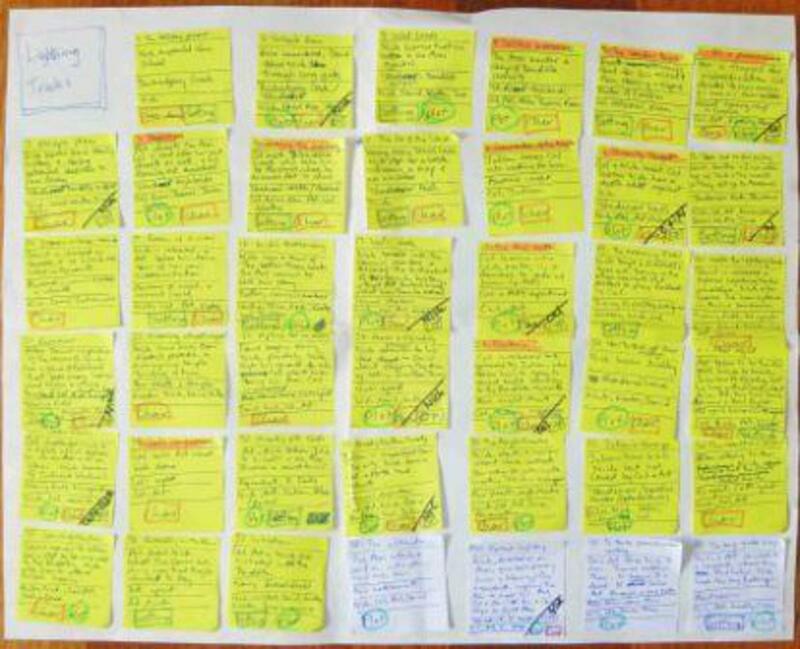 Workshop 2 done by another great author I admire included a story-board which seemed like another great idea. I got myself a display board at Michael’s and dug out my multi-colored Post-its. 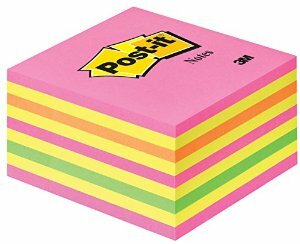 For three days I jotted ideas, plot points, required events, scenes, random thoughts and other bits and pieces on Post-its. Then I carefully arranged all the sticky bits on the board where it seemed most appropriate for them to go. NOW, I’m ready to write. Or am I? What I didn’t take into consideration was the layout of my workspace. A big story-board, either a cardboard display or a blank wall might work great in big homes with spacious offices. But I just didn’t know where to put it in my cozy office in my beach bungalow. 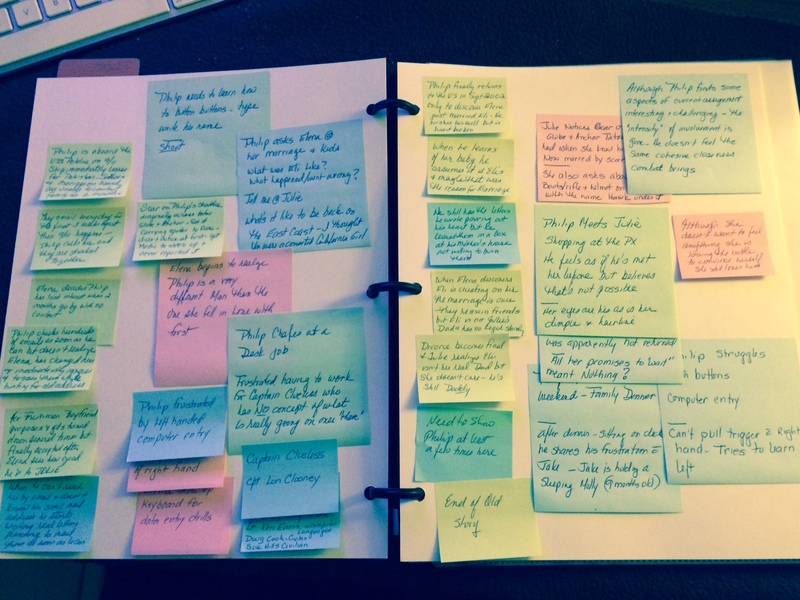 But then I recalled yet another super author who explained how she had a notebook with a page for each chapter onto which she put Post-its with various notes and reminders for her stories. I’d tried it, but had abandoned it because being a “pantser” I tend to end a chapter when a really good hook comes along and I never know when that might be ahead of time. But what if I combined these ideas? I am excited with the result and eager to see how it goes as the book unfolds. 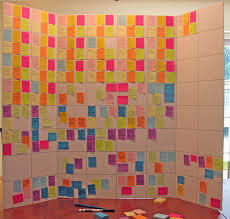 I used card-stock, punched holes and put them in a slim binder then transferred all the neat little Post-it notes, plot points and events, dark moments, first kiss, resolution and finale. It just might be working because in the first two days after it was assembled, I got over 4000 words written. I did have to take yesterday off to create a 15-year timeline. Since my WIP is book #4 in a series, I discovered I needed to have a visual (another list!) of all the recurring characters, when they graduated, got married, had kids, moved, where they moved to so I wouldn’t end up having them married in one book, then only engaged in the next, or something worse. So, NOW I’m on a roll. With a List and an Outline. Interesting blog post. Much enjoyed it!! !